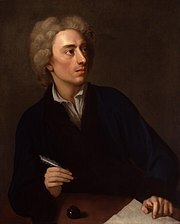 However, Western historians sometimes specifically define the 18th century otherwise for the purposes of their work. For example, the "short" 18th century may be defined as 1715–1789, denoting the period of time between the death of Louis XIV of France and the start of the French Revolution with an emphasis on directly interconnected events. 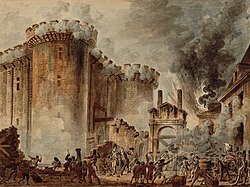 To historians who expand the century to include larger historical movements, the "long" 18th century may run from the Glorious Revolution of 1688 to the battle of Waterloo in 1815 or even later.During the 18th century, the Enlightenment culminated in the French and American revolutions. Philosophy and science increased in prominence. Philosophers were dreaming about a better age without the Christian fundamentalism of earlier centuries. This dream turned into a nightmare during the terror of Maximilien Robespierre in the early 1790s. At first, the monarchies of Europe embraced enlightenment ideals, but with the French revolution, they were on the side of the counterrevolution. Great Britain became a major power worldwide with the defeat of France in the Americas in the 1760s and the conquest of large parts of India. However, Britain lost much of her North American colonies after the American revolution. The industrial revolution started in Britain in around the 1770s. Despite its modest beginnings in the 18th century, it would radically change human society and the geology of the surface of the earth. 1700: The 1700 Cascadia earthquake (magnitude 9) occurs off the coast of the Pacific Northwest; the coast of Japan is struck by a tsunami. 1700–21: Russia supplants Sweden as the dominant Baltic power after the Great Northern War. 1701–1714: War of the Spanish Succession was a conflict which involved most of Europe. 1701–1702: The Daily Courant and the The Norwich Post becomes the first daily newspapers in England. 1702: Forty-seven Ronin attack Kira Yoshinaka and then commit seppuku in Japan. 1702–1715: Camisard Rebellion in France . 1703–1711: The Rákóczi Uprising against the Habsburg Monarchy. 1707: Act of Union passed merging the Scottish and the English Parliaments, thus establishing The Kingdom of Great Britain . 1707: After Aurangzeb's death, the Mughal Empire enters a long decline and the Maratha Empire slowly replaces it. 1707: Mount Fuji erupts in Japan. 1707: War of 27 years between the Marathas and Mughals ends in India. 1708: The Company of Merchants of London Trading into the East Indies and English Company Trading to the East Indies merged to form the United Company of Merchants of England Trading to the East Indies. 1708–1709: Famine kills one-third of East Prussia's population. Great Frost of 1709: Coldest winter in 500 years. 1709: Hotaki dynasty founded in Afghanistan. 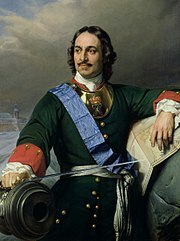 1709: Charles XII of Sweden flees to Ottoman Empire after Peter I of Russia defeats his army at the Battle of Poltava . 1721: Kangxi Emperor bans Christian Missionaries because of Pope Clement XI's decree. 1722: Afghans conquered Iran, overthrowing the Safavid Shah Soltan Hosein. 1722: Bartholomew Roberts is killed in a sea battle off the African coast. 1722–1725: Controversy over William Wood's halfpence leads to the Drapier's Letters and begins the Irish economic independence from England movement. 1723–1730: The "Great Disaster" – an invasion of Kazakh territories by the Dzungars. 1725: The Fulani nomads took complete control of Fuuta Jallon and set up the first of many Fulani jihad states to come. 1730: Mahmud I takes over Ottoman Empire after civilian unrest. 1730–1760: First Great Awakening takes place in Great Britain and North America. 1732–1734: Crimean Tatar raids into Russia. 1733–1738: War of the Polish Succession. 1735–1799: The Qianlong Emperor of China oversaw a huge expansion in territory. 1736: Nader Shah assumed title of Shah of Persia and founded the Afsharid dynasty. Ruled until his death in 1747. 1738–1756: Famine across the Sahel, half the population of Timbuktu died. 1738: Pope Clement XII issues the Eminenti Apostolatus Specula prohibiting Catholics from becoming Freemasons. 1739: Nader Shah defeated the Mughals at the Battle of Karnal and sacked Delhi . 1740: British attempt to capture St. Augustine, Florida but lose to the Spanish during the Siege of St. Augustine. 1740–1741: Famine in Ireland killed ten per cent of the population. 1741: Russians began settling the Aleutian Islands . 1741: Pope Benedict XIV issues Immensa Pastorum principis against slavery. 1744: The First Saudi State is founded by Mohammed Ibn Saud. 1744–1748: The First Carnatic War fought between the British, the French, the Marathas, and Mysore in India . 1745: Second Jacobite Rebellion began by Charles Edward Stuart in Scotland . 1747: Ahmed Shah Durrani founded the Durrani Empire in modern day Afghanistan . 1748: Treaty of Aix-La-Chapelle ends the War of the Austrian Succession and First Carnatic War. 1754: Treaty of Pondicherry ends Second Carnatic War and recognizes Muhammed Ali Khan Wallajah as Nawab of the Carnatic. 1754–1763, The French and Indian War, Fought in the U.S. and Canada mostly between the French and French allies and the English and English allies. The North American chapter of the Seven Years' War. 1756–1763: Seven Years' War fought among European powers in various theaters around the world. 1756–1763: The Third Carnatic War fought between the British , the French , the Marathas, and Mysore in India . 1757: Battle of Plassey signaled the beginning of formal British rule in India after years of commercial activity under the auspices of the East India Company. 1759: French commander Louis-Joseph de Montcalm and British commander James Wolfe die during the Battle of the Plains of Abraham . 1762–1796: Reign of Catherine the Great of Russia . 1765: Stamp Act introduced into the American colonies by the UK Parliament. 1768: Gurkhas conquered Nepal . 1769: Spanish missionaries established the first of 21 missions in California . 1769–1773: The Bengal famine of 1770 killed one third of the Bengal population. 1770: James Cook claims the East Coast of Australia (New South Wales ) for Great Britain. 1770–1771: Famine in Czech lands killed hundreds of thousands. 1771: The Plague Riot in Moscow . 1771: Richard Arkwright and his partners build the world's first water-powered mill at Cromford. 1772: Reformer Johann Friedrich Struensee executed in Denmark . 1772: Gustav III of Sweden stages a coup d'état, becoming almost an absolute monarch. 1772–1795: The Partitions of Poland ended the Polish-Lithuanian Commonwealth and erased Poland from the map for 123 years. 1773–1775: Pugachev's Rebellion was the largest peasant revolt in Russia 's history. 1776: United States Declaration of Independence adopted by the Continental Congress in Philadelphia . 1778: Tây Sơn Dynasty established in Vietnam . 1778: James Cook becomes first European on the Hawaiian Islands. 1780: Outbreak of indigenous rebellion led by Túpac Amaru II in Peru . 1781: Spanish settlers founded Los Angeles . 1783: Famine in Iceland caused by the eruption of the Laki volcano. 1783 The Treaty of Paris formally ends the American War of Independence. 1785–1791: Imam Sheikh Mansur, a Chechen warrior and Muslim mystic, led a coalition of Muslim Caucasian tribes from throughout the Caucasus in a holy war against the Russian invaders. 1787: United States Constitution was written in Philadelphia and submitted to the states for ratification. 1787: Freed slaves from London founded Freetown in present-day Sierra Leone . 1787: Kansei Reforms instituted in Japan by Matsudaira Sadanobu. 1788: First European settlement established in Australia at Sydney . 1788: New Hampshire ratifies the United States Constitution as the 9th state, and by the terms of Article VII it is in effect. 1788–1789 Inconfidência Mineira, conspiracy against the colonial authorities in Brazil . 1789: Great Britain and Spain dispute the Nootka Sound during the Nootka Crisis. 1790: United States of Belgium proclaimed following the Brabant Revolution. 1791 The Constitutional Act (Or Canada Act) creates the two provinces of Upper and Lower Canada in British North America. 1791–1795: George Vancouver explores the world during the Vancouver Expedition. 1792–1815: The Great French War started as the French Revolutionary Wars which lead into the Napoleonic Wars. 1792: King Gustav III of Sweden was assassinated by a conspiracy of noblemen. 1793: The largest yellow fever epidemic in American history killed as many as 5,000 people in Philadelphia —roughly 10% of the population. 1793–1796: Revolt in the Vendée against the French Republic at the time of the Revolution. 1794: Jay's Treaty concluded between Great Britain and the United States , by which the Western outposts in the Great Lakes are returned to the U.S., and commerce between the two countries is regulated. 1794: Qajar dynasty founded in Iran after replacing the Zand dynasty. 1795: Mohammad Khan Qajar razes Tbilisi to the ground. 1795: The Marseillaise officially adopted as the French national anthem. 1795: Kamehameha I of the Island of Hawaii defeats the Oahuans at the Battle of Nu'uanu. 1796: Edward Jenner administers the first smallpox vaccination. Smallpox killed an estimated 400,000 Europeans each year during the 18th century (including five reigning monarchs). 1796: Battle of Montenotte. Engagement in the War of the First Coalition. Napoleon Bonaparte's first victory as an army commander. 1796: British ejected Dutch from Ceylon . 1796: Mungo Park, backed by the African Association, is the first European to set eyes on the Niger River in Africa. 1796–1804: The White Lotus Rebellion against the Manchu Dynasty in China. 1798: The Irish Rebellion failed to overthrow British rule in Ireland . 1798–1800: Quasi-War between the United States and France . 1799: Napoleon staged a coup d'état and became dictator of France . 1799: The assassination of the 14th Tu'i Kanokupolu, Tukuʻaho, plunges Tonga into half a century of civil war. 1755: The tallest wooden Bodhisattva statue in the world is erected at Puning Temple , Chengde , China. 1775: Joseph Priestley first synthesis of "phlogisticated nitrous air" Nitrous Oxide "laughing gas"
1704–1717: One Thousand and One Nights translated into French by Antoine Galland. The work becomes immensely popular throughout Europe.